Hamish Brewer, the relentless, tattooed, skateboarding principal in Northern Virginia isn’t your normal principal. Hamish is high octane, constantly calling on his students to “Be Relentless”. Mr. Brewer has become known as an educational disrupter who transcends the status quo and typical educational norms. This style has earned Mr. Brewer recognition such as the 2017 NAESP Nationally Distinguished Principal Award, the Virginia Association of Elementary School Principals School Bell Award, and ASCD Virginia Impact Award. In 2018 Hamish was named a Northern Virginian of the year by Northern Virginia Magazine. Mr. Brewer is married and a dad of four. Originally from New Zealand where he earned his Bachelors of Education at the University of Auckland, he completed his Masters of Educational Leadership at VCU in Richmond, VA. Mr. Brewer is currently a doctoral student at Virginia Tech University for educational leadership. Mr. Brewer serves at the state level as the Federal Relations Coordinator on the Board of Directors with the Virginia Association of Elementary School Principals. He is a school turnaround specialist, working with some of the most at-risk students in the United States and is a highly sought-after keynote speaker. Mr. 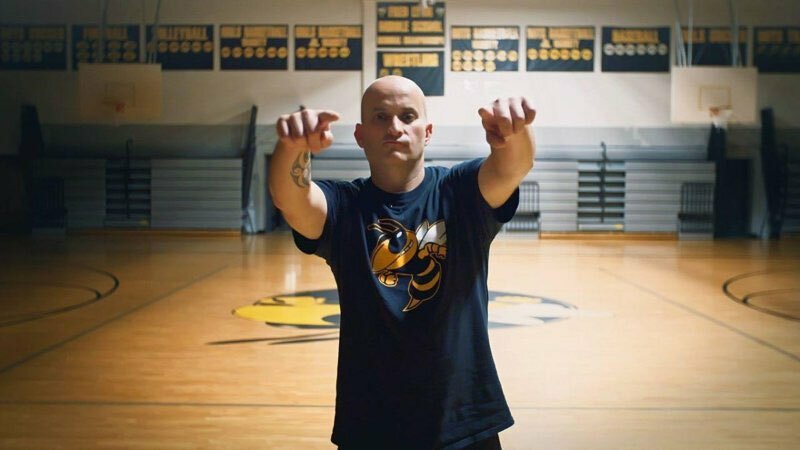 Brewer was highlighted as a Hometown Hero by Fox 5 in Washington, DC and even performed live as the Whip and Nae Nae Principal. With more than 28 million views his story has become a viral sensation being highlighted on the national news with NBC and Lester Holt. Mr. Brewer is featured in a documentary Humanity Stoked. His unique leadership approach and innovative programs such as black light parties, deskless classrooms, skateboard give-aways and audio-enhanced classrooms earned Occoquan Elementary School the very first Nationally Distinguished Title One School Award in the history of Prince William County Public Schools. Now, he’s completing his first year at Fred Lynn Middle School, tasked with spearheading the same transformation he led at Occoquan and in his previous school settings.